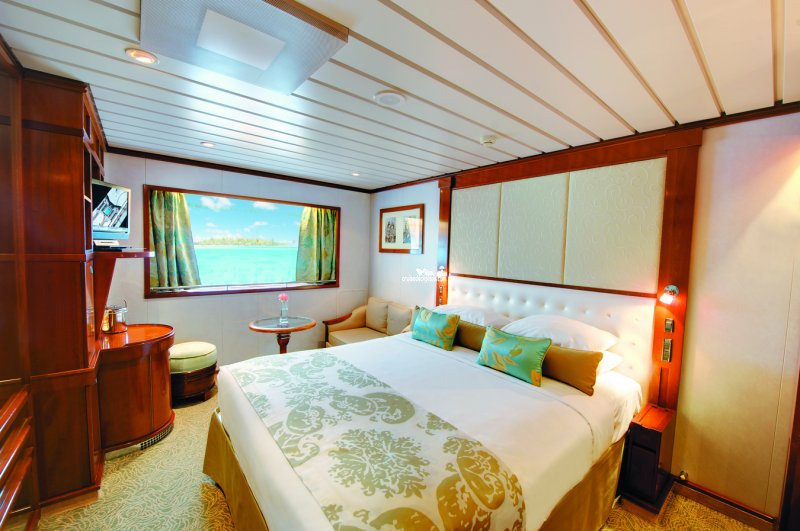 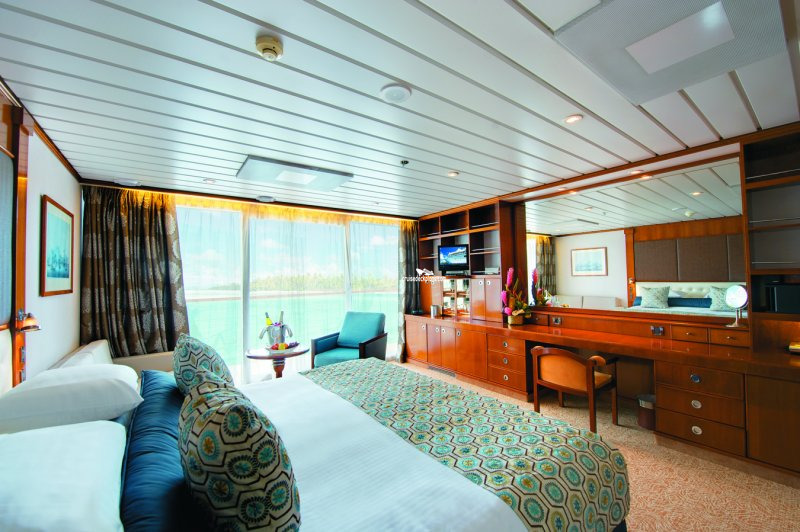 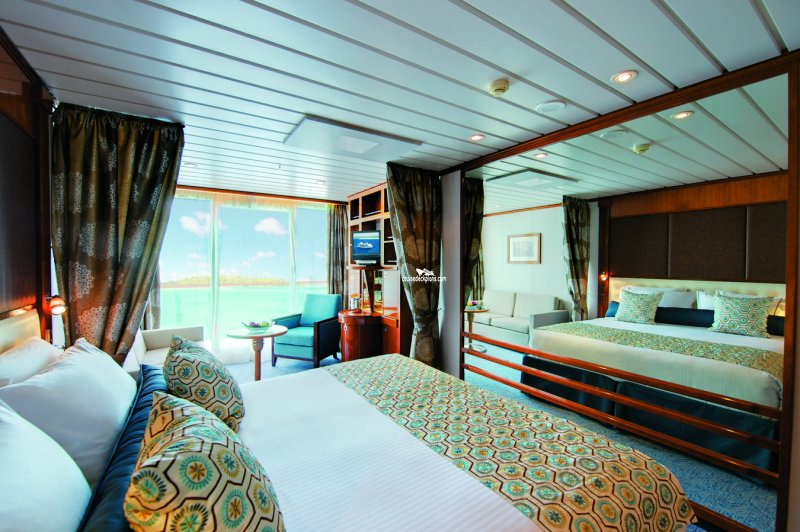 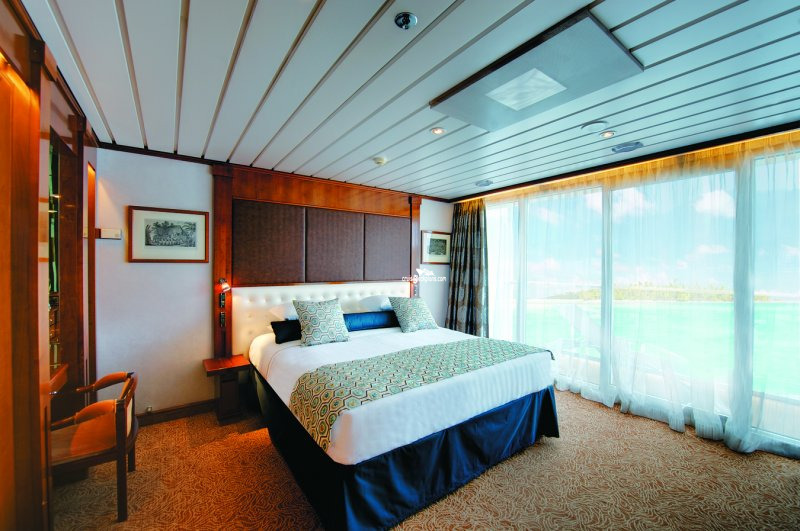 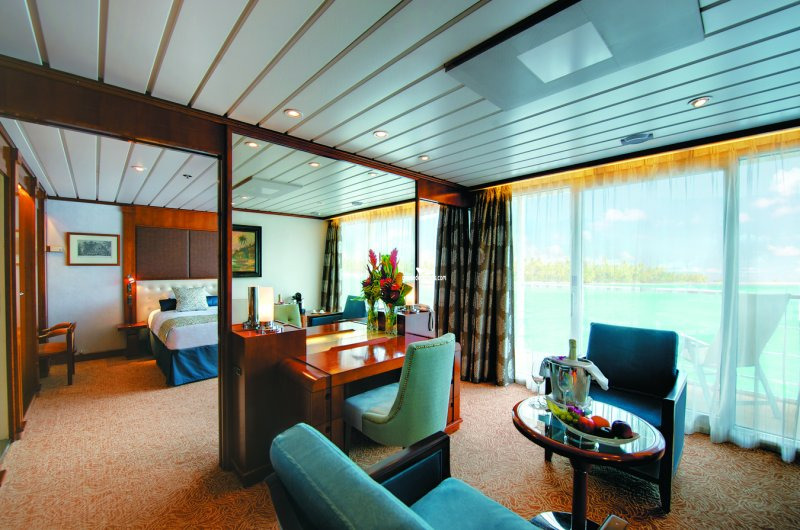 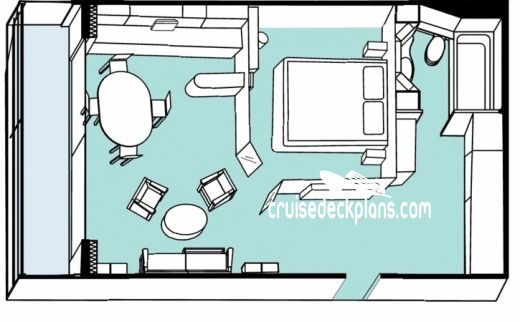 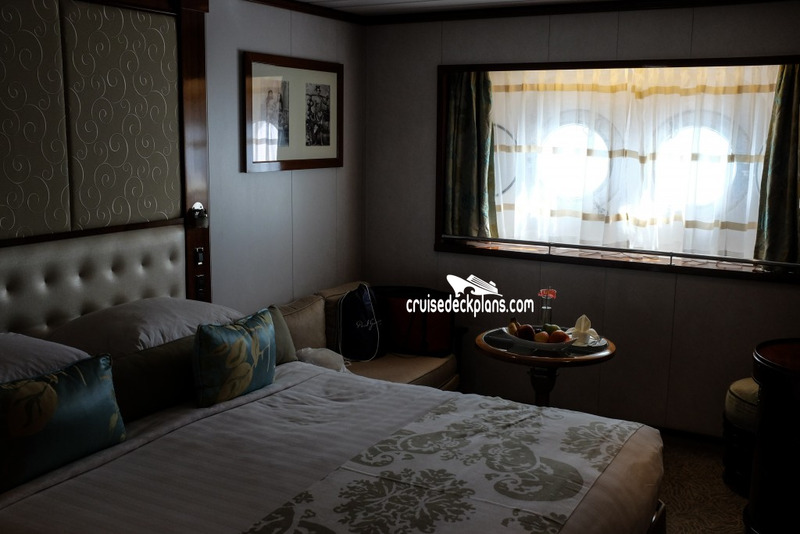 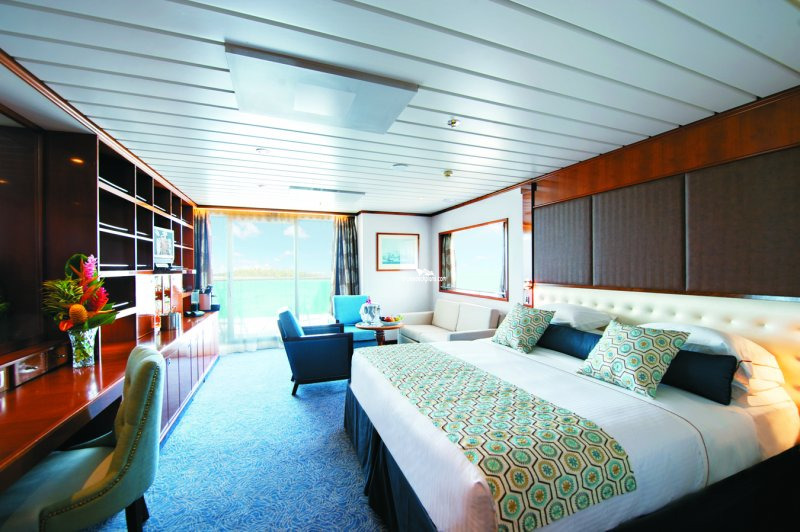 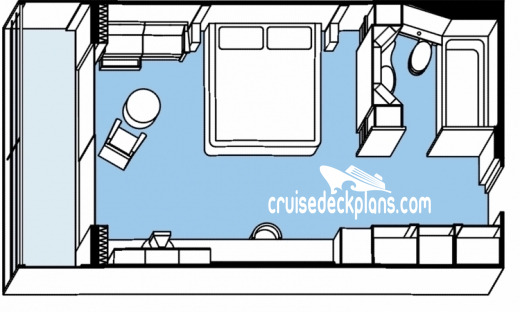 Stateroom 701 is 534 square feet plus 77 square foot balcony. 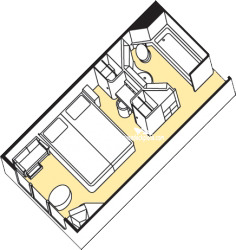 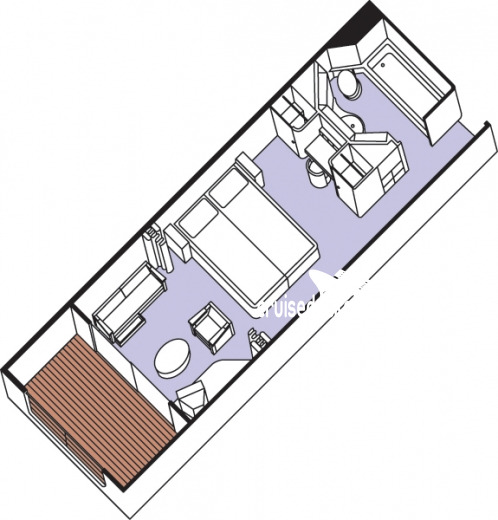 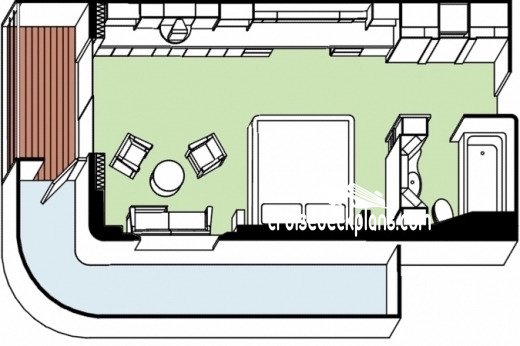 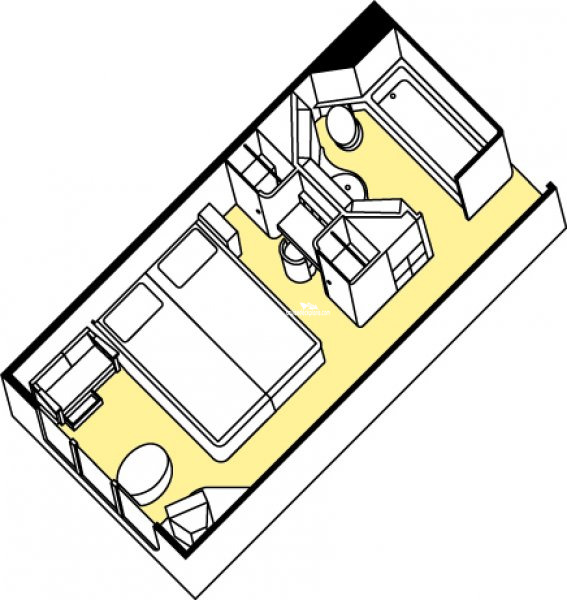 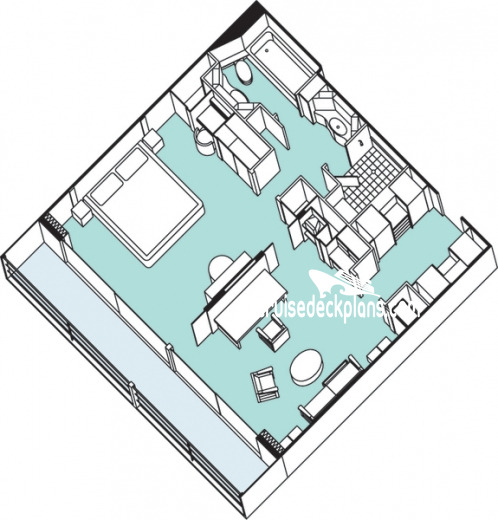 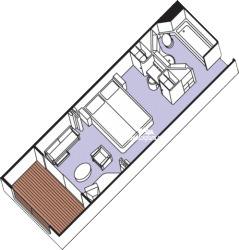 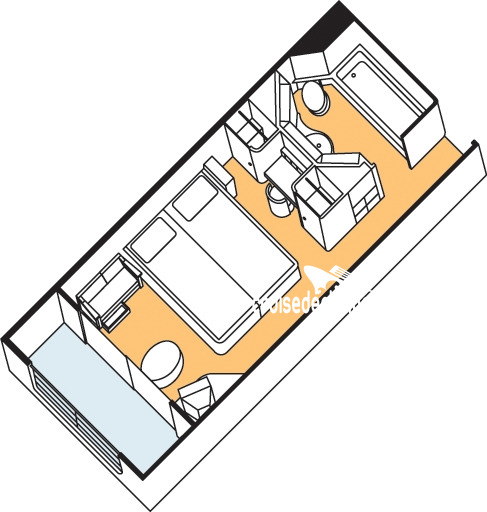 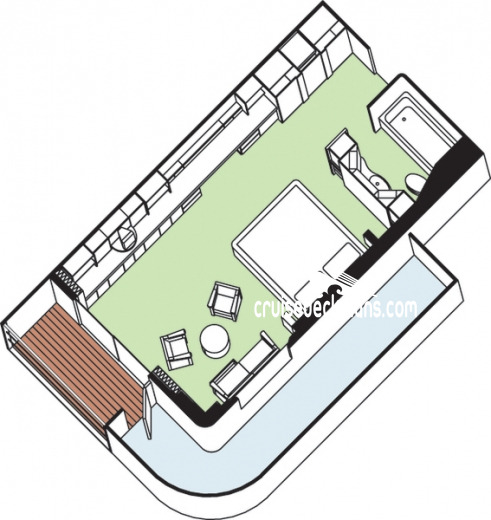 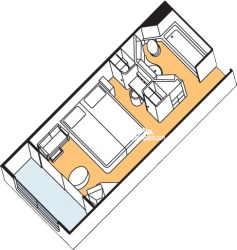 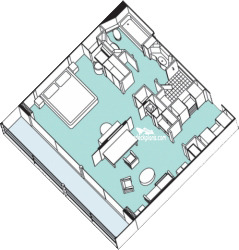 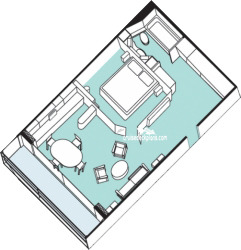 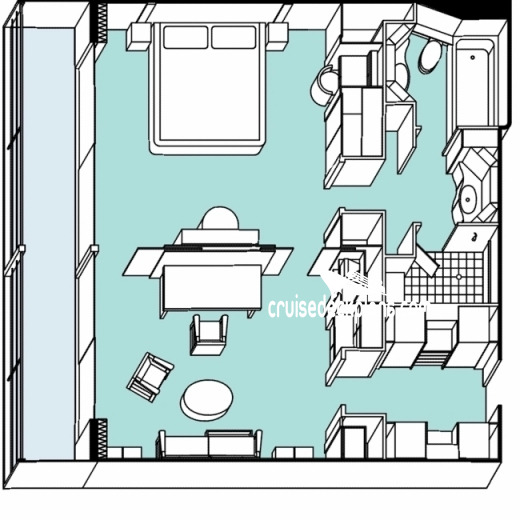 Stateroom 7002 is 531 square feet plus 57 square foot balcony. 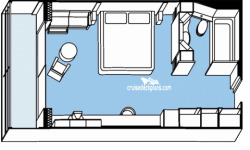 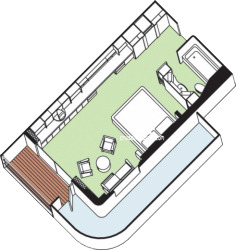 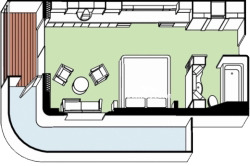 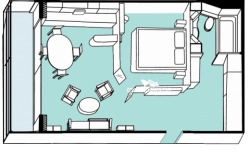 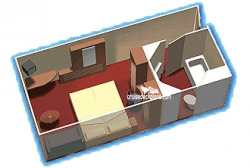 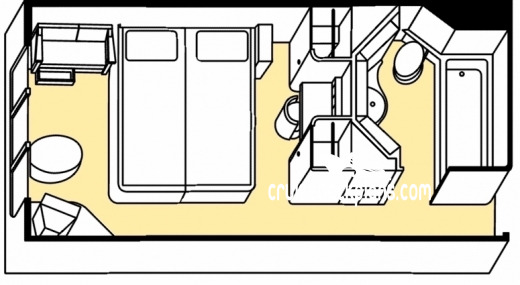 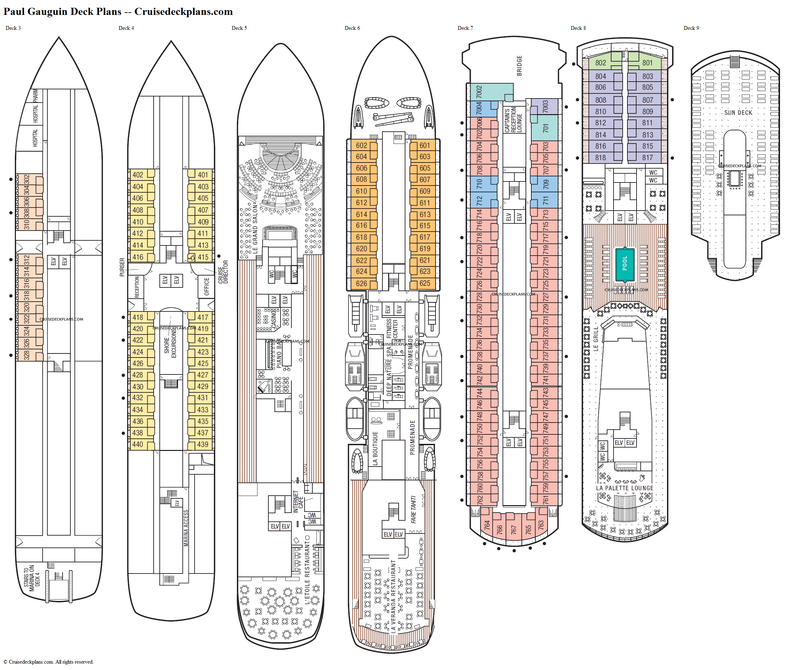 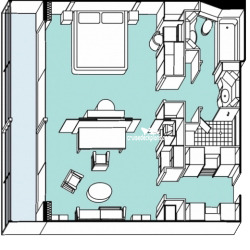 The first diagram represents stateroom 701. 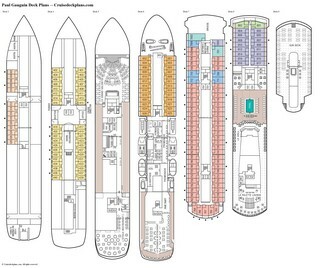 The second diagram represents stateroom 7002. 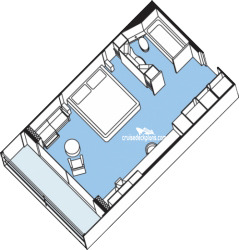 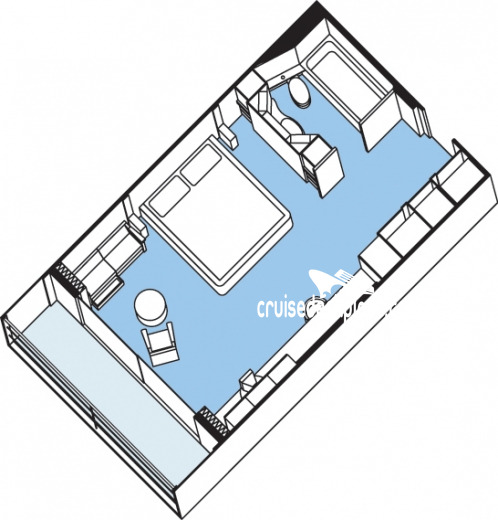 Stateroom 7004 is 296 square feet plus 53 square foot balcony. 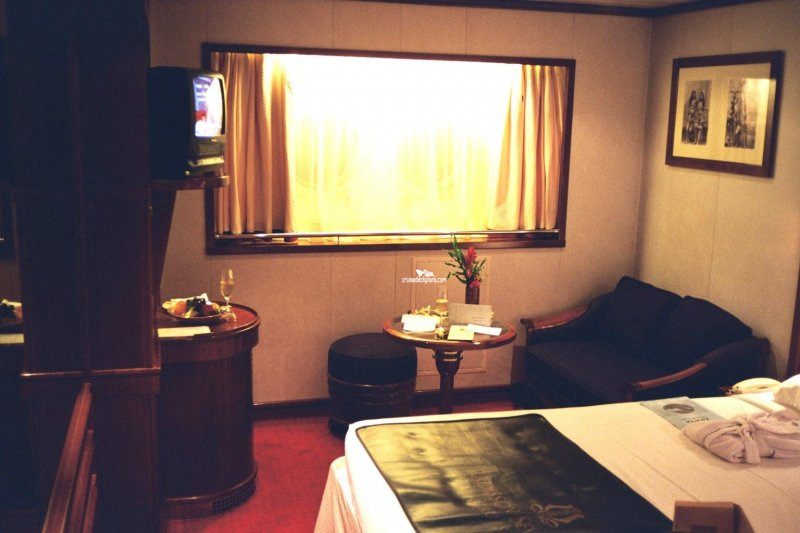 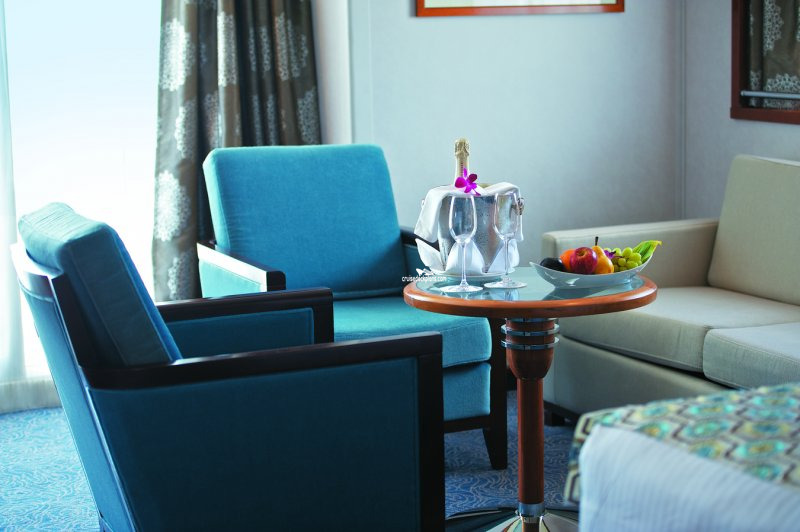 Amenities include stocked refrigerator with soft drinks, bar set-up upon embarkation, cotton robes. 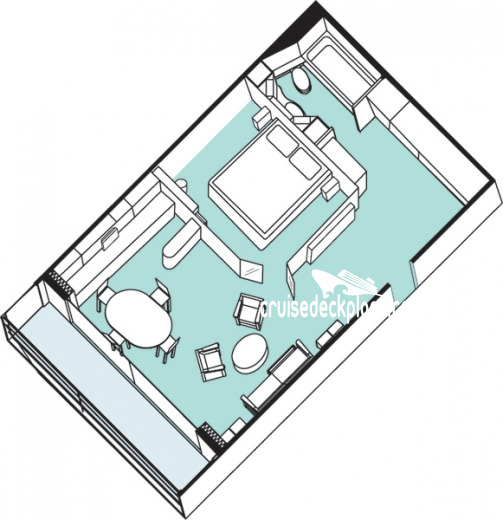 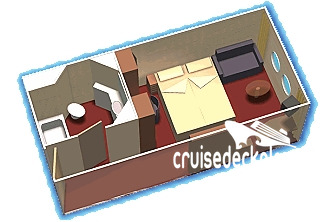 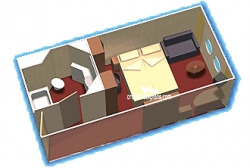 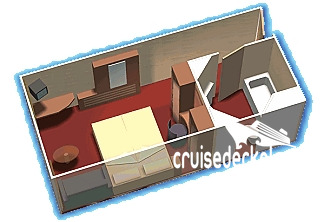 Stateroom 7003 is 256 square feet plus 47 square foot balcony and has shower only.